While iPhone 6 is making rounds on the internet with new renders and rumours everyday, Apple’s much-awaited smart watch seemed to have gotten lost in the crowd. But recent evidence of Apple’s interest in wearable devices surfaced on Tuesday with the publication of the company’s latest U.S. patent. Apple has never publicly acknowledged that it’s working on a smartwatch, although it’s widely expected that an “iWatch” could be introduced as soon as this September. On Tuesday, the United States Patent and Trademark Office granted a patent to Apple for a smartwatch concept referred to as ‘iTime’. The documents was first spotted by AppleInsider, disrupting the secrecy code regarding company’s wrist-based ambitions at least a little bit. 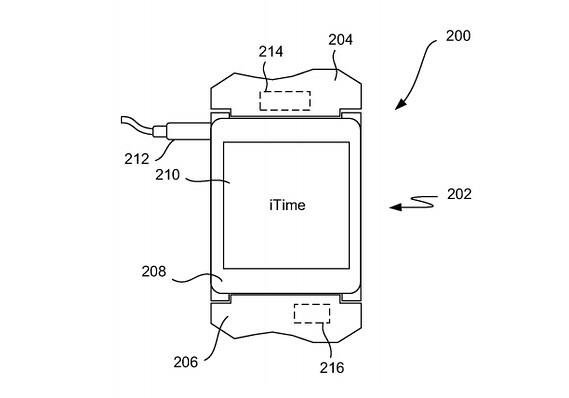 Unlike the all-in-one smartwatch devices already revealed by Samsung and LG, the iTime will actually feature two main components: a smart strap, which can apparently be swapped out to change functionality, and a small touchscreen media player reminiscent of the sixth-generation iPod Nano, which is mentioned by name in the patent. Although, you can certainly expect the display technology used on the iTime to be vastly superior to the old Nano. Apple is widely expected to introduce a wearable device with functionality very similar to that described in the patent. According to the most recent speculation, Apple’s first attempt into the wearables game may sport a “slightly curved” 2.5-inch OLED display and could come in three sizes. The device is also said to have a heavy focus on health and wellness, with possible fitness tracking functions built-in. Based on what Apple told us at WWDC of company’s plans for health, fitness and home automation, a new wearable (or wearables) could fit perfectly into the its grand scheme of things. 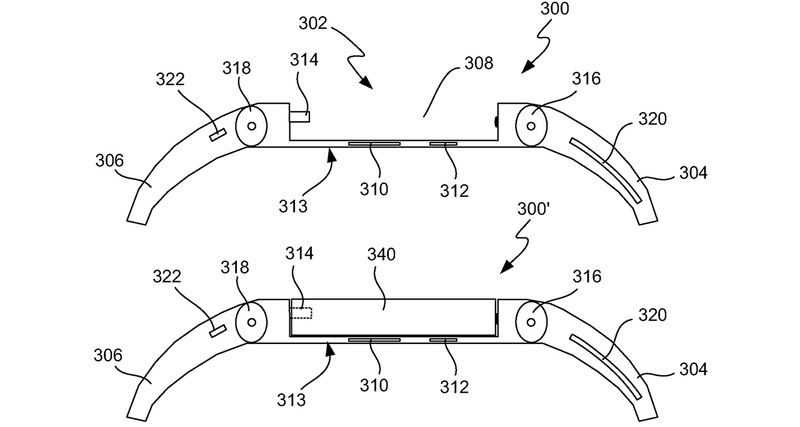 And if this patent is any indication, they’ve already been devising that scheme for years.